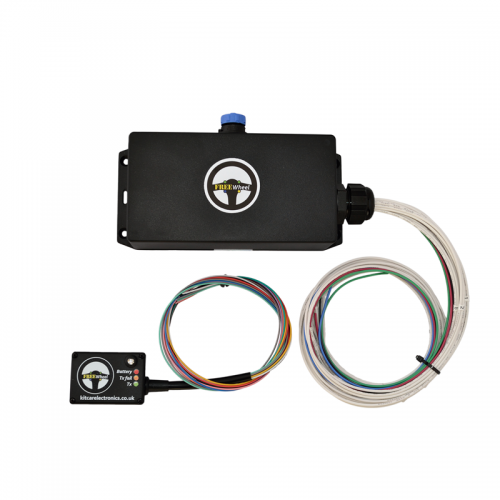 Simple to install, the FREEWheel Receiver connects to your existing relays and is ideally located in an unobtrusive place under your dashboard. The Transmitter is mounted to the rear of your steering wheel button plate* and wired to your switches and paddles. A revolution in wireless steering wheel controls, for kit cars and race cars. 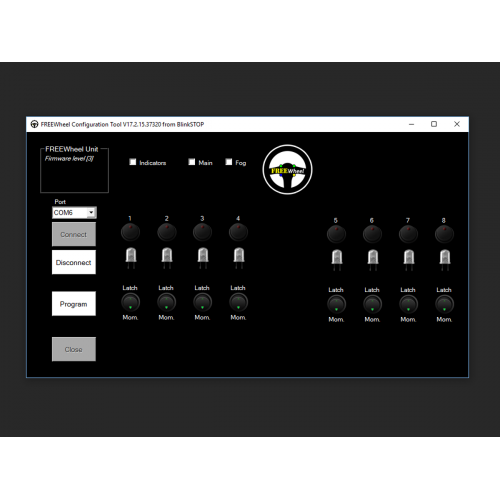 Control up to 8 channels with endless re-configuration possibilities, using the included FREEWheel USB programming software. Includes internal relays rated to 10A at 12V and can be used for high- or low-side switching of loads. Choose any combination of smart headlight, smart indicator and IVA fog light modes or momentary and latching behaviour for each channel. The FREEWheel-8 Receiver measures 152 x 82 x 50mm and weighs 464g, which includes a 0.7metre pre-wired loom with high temperature thin-wall wires. At a tiny 54 x 38 x 23mm, the FREEWheel Transmitter weighs just 61g including the battery! What's in the box? FREEWheel 8-channel Transmitter and Receiver, battery, USB cable, mounting pad, FREEWheel sticker and installation instructions. Matching 8-channel button plate, pushbuttons, nut covers and decals also available! Easyfit Transmitter option bolts straight onto your steering wheel hub. Accessible soldering points makes connecting your buttons a doddle. Prefer to have us do the soldering? Choose the Easyfit upgrade option, 8-button bundle and factory assembly. Simply bolt the entire assembly to your steering wheel. 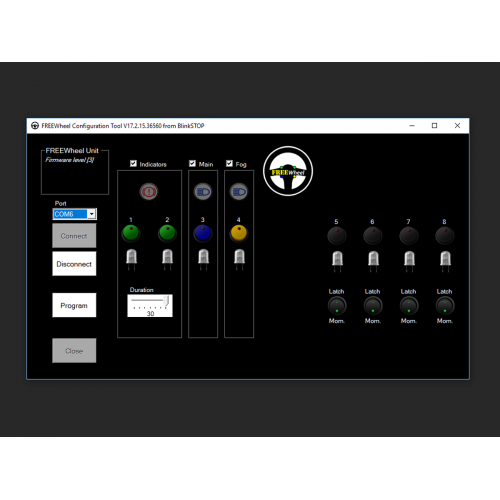 FREEWheel wireless steering wheel button control system. For pushbuttons and paddleshifters. 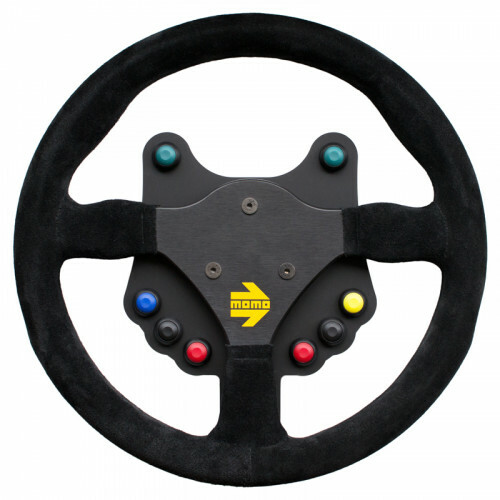 *steering wheel, button plate and pushbuttons are not included and are shown for illustration purposes only.